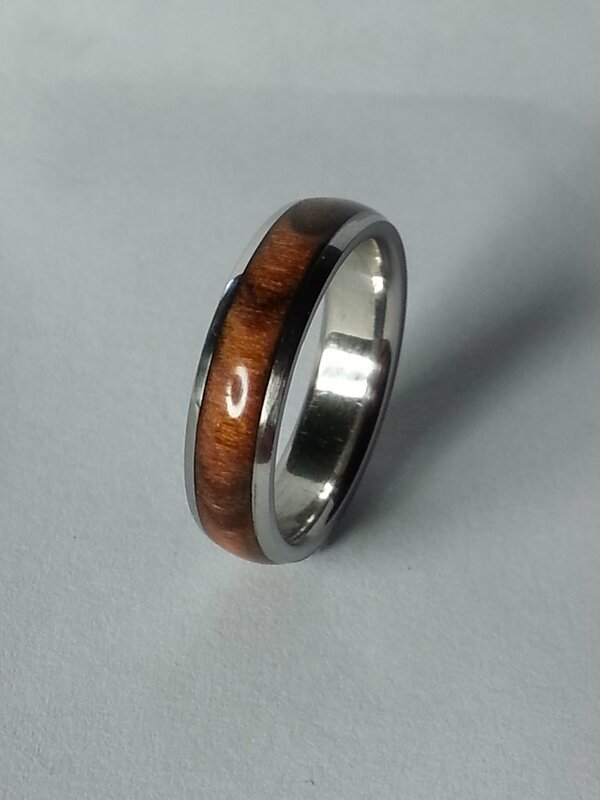 All my rings are individually made to order so if you would like to enquire about a design you might like or any general questions about any of my rings then please use the Contact link and fill in your details and questions. I will email you and answer your enquiry as soon as possible. 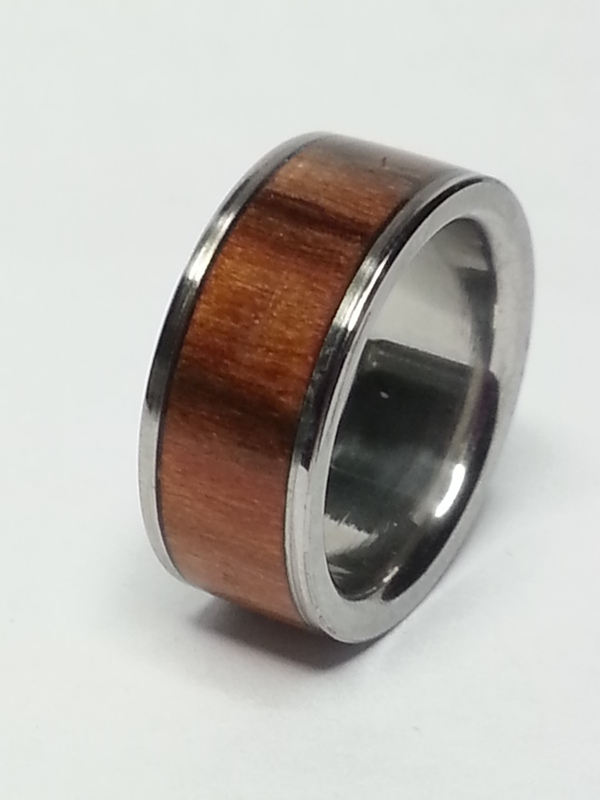 My rings can be made with several materials, inlays and profiles. 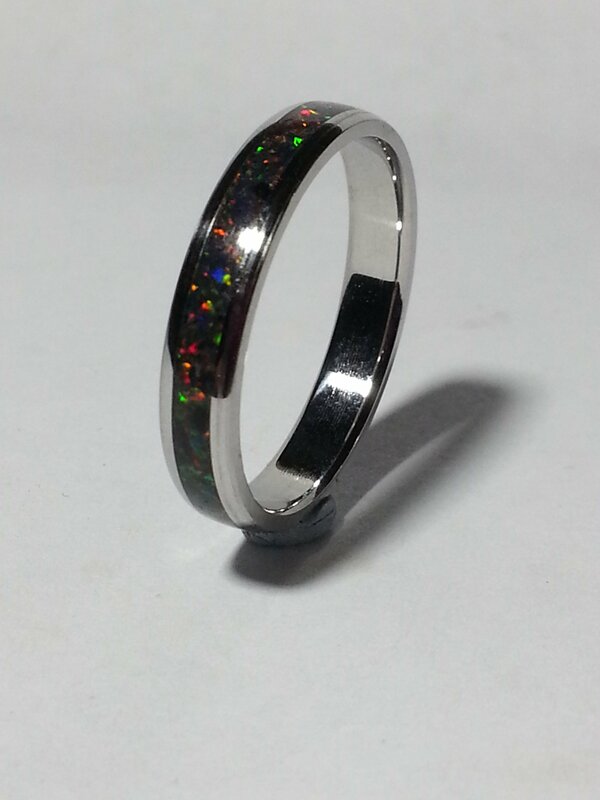 Currently I am working with Damasteel (Damascus steel), Stainless steel and Titanium. 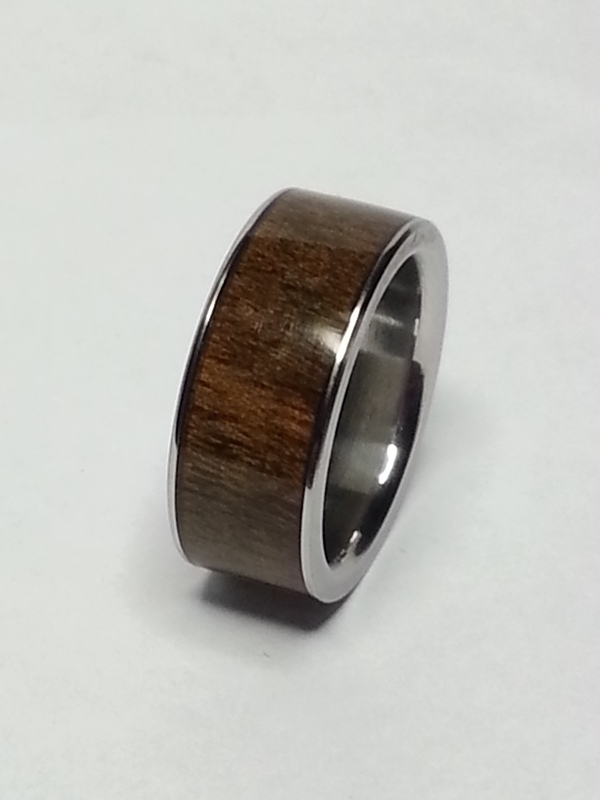 The top row of rings has a flat profile but I can also make them with a domed profile, similar to a 'D' on its side. The inlays can be a variety of materials from natural stone, turquoise(blue), Malachite (green) to real wood veneers, Abalone shell and sparkling colored materials similar to nail decorations or combinations of these. Hover over the ring images below to see a larger version.